I am back in my own garden again with a vengeance after the permaculture workshop at Heathcote Botanical Gardens. 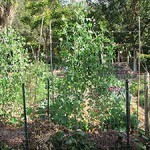 Time is flying and I have begun to consider what I am planting this summer, and when. 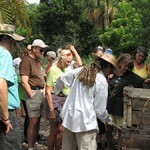 At 1:00 PM on Sunday February 5 at Heathcote Botanical Gardens I will be presenting a class on what we can plant in our summer gardens here in South Florida and when as well as what to do if we plan to fallow the garden or grow green mulch crops instead. This class goes for approximately 2 hours and costs $15 for members and $20 for non-members. 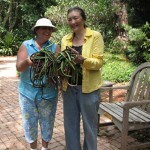 To register call Heathcote Botanical Gardens 772-464-4672. Since I am in Ohio, what season would this info equate to here? Hi Sara, thanks for your interest. I am afraid that this info is rather zone specific. We are in zone 9b. I don’t know how to plant in other zones I focus on the specifics for just this planting zone. It is generally helpful to know your plant hardiness zone. There could be a wide difference in planting between the north and south of your state. If you don’t know your planting zone you can google it to find out or call your local cooperative extension, or check out the agriculture department at your University.